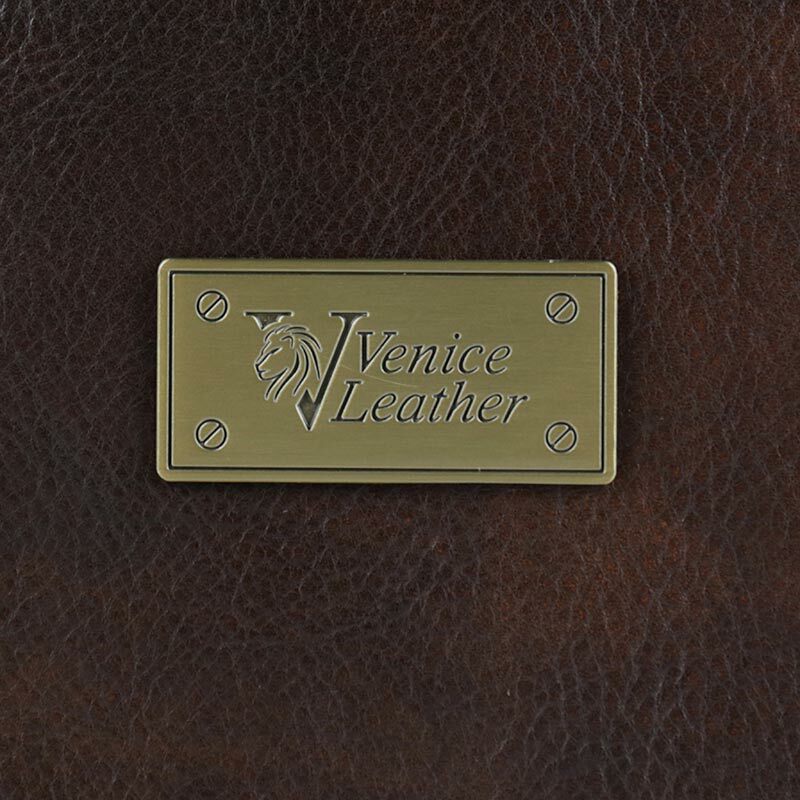 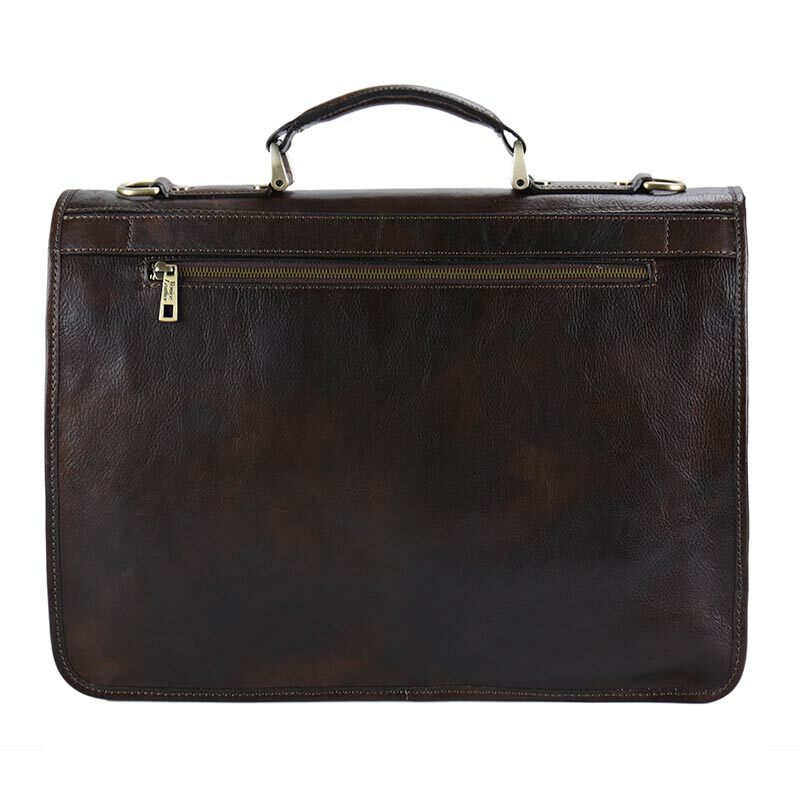 Massimiliano business briefcase with two compartments .Made of real vegetable tanned leather calfskin hand-buffered with shiny effect. 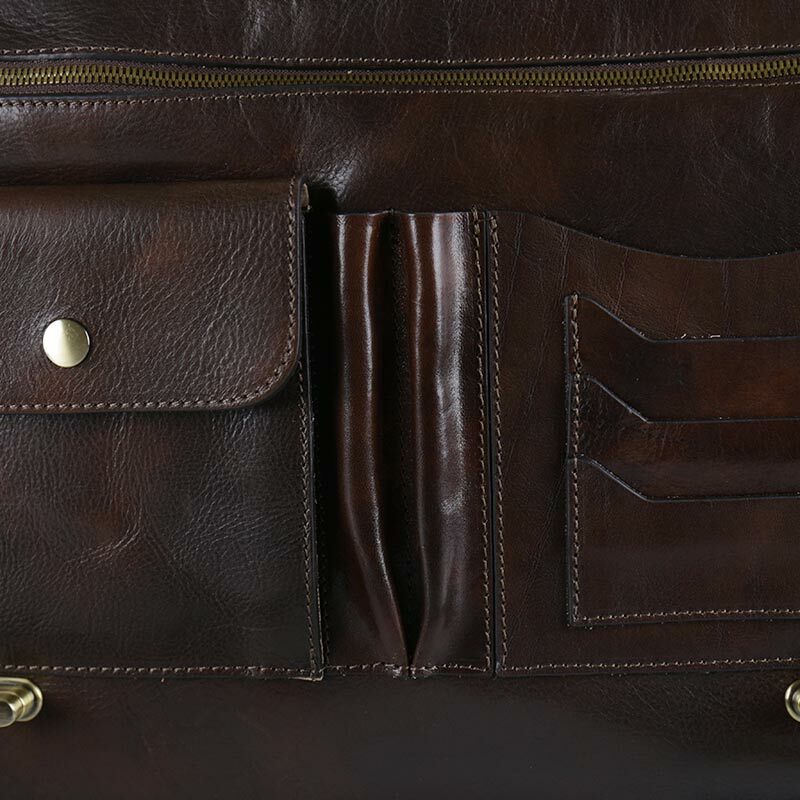 Soft construction. 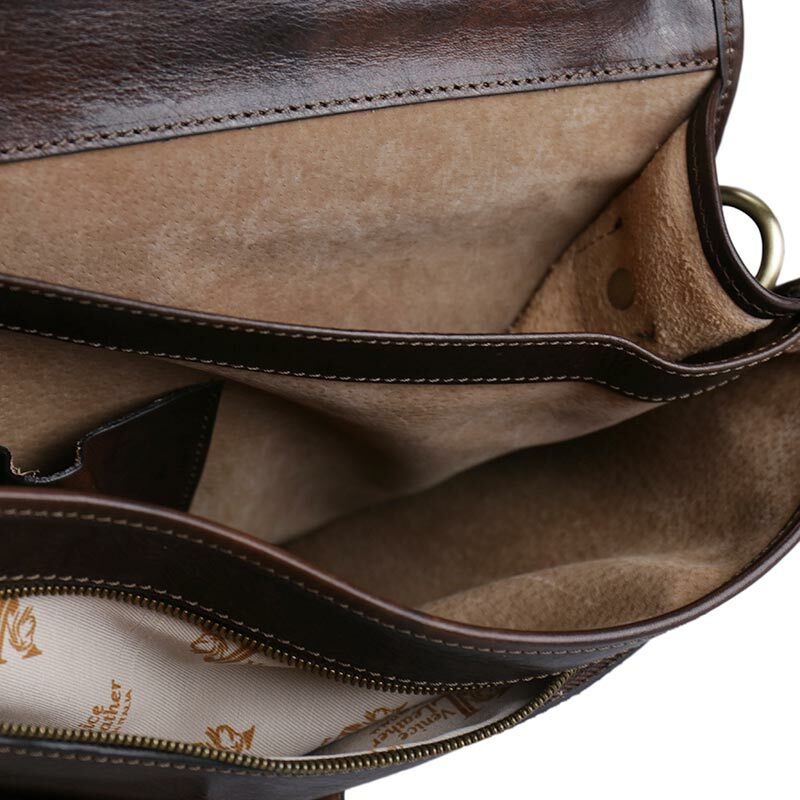 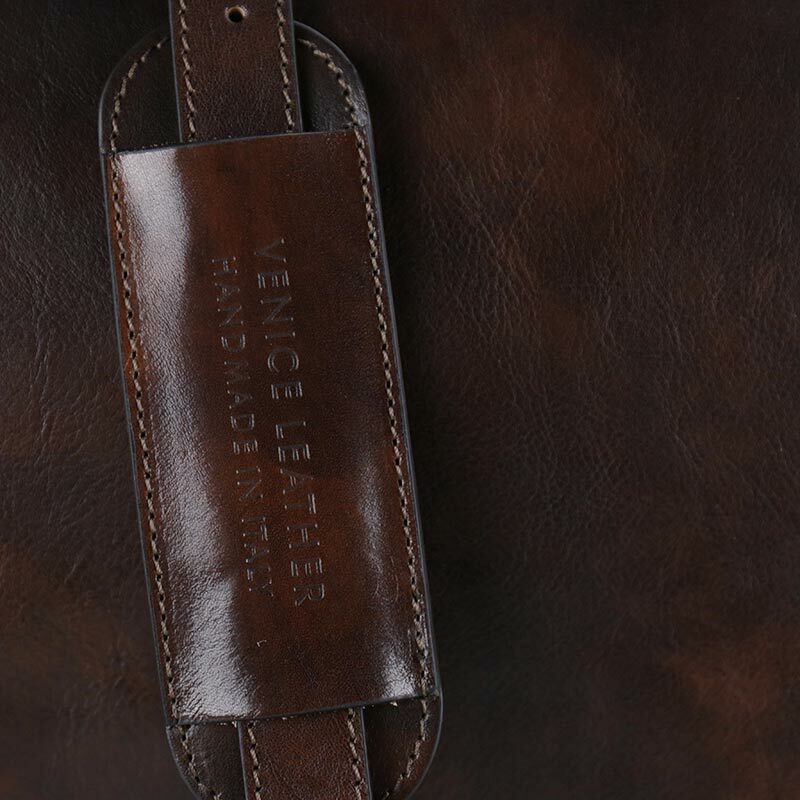 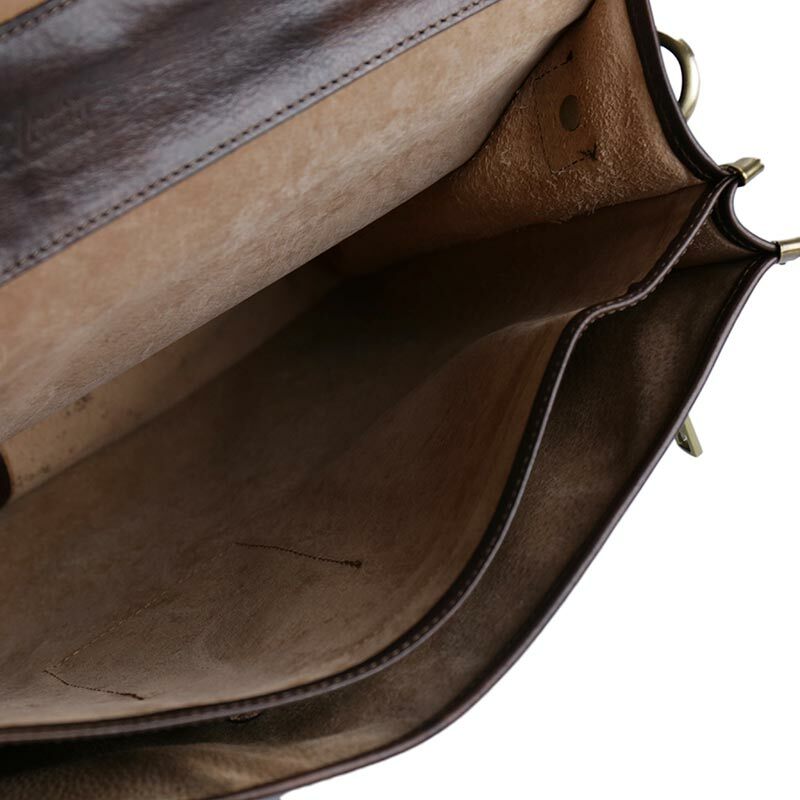 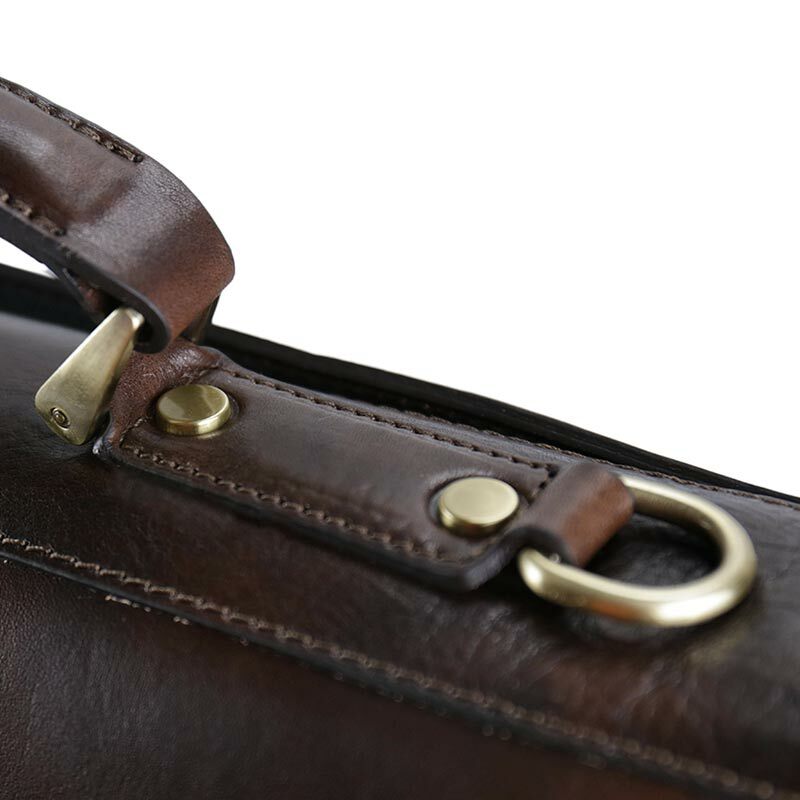 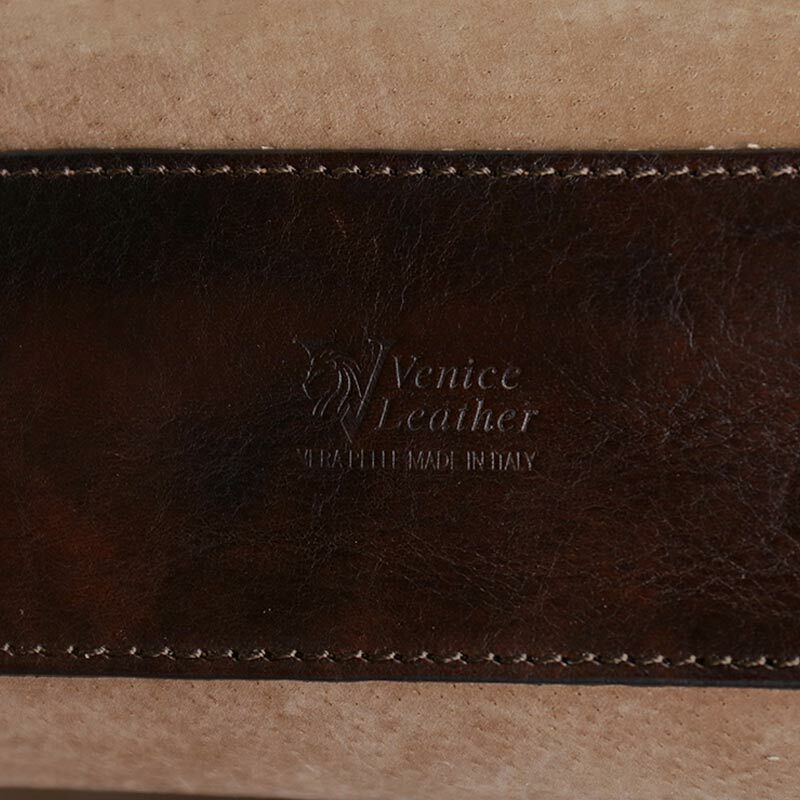 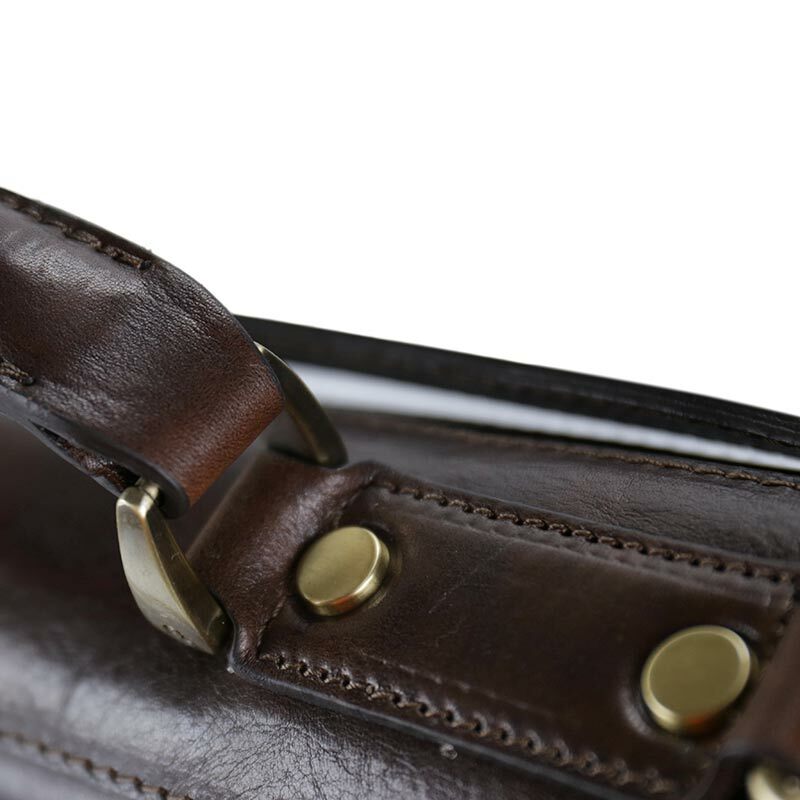 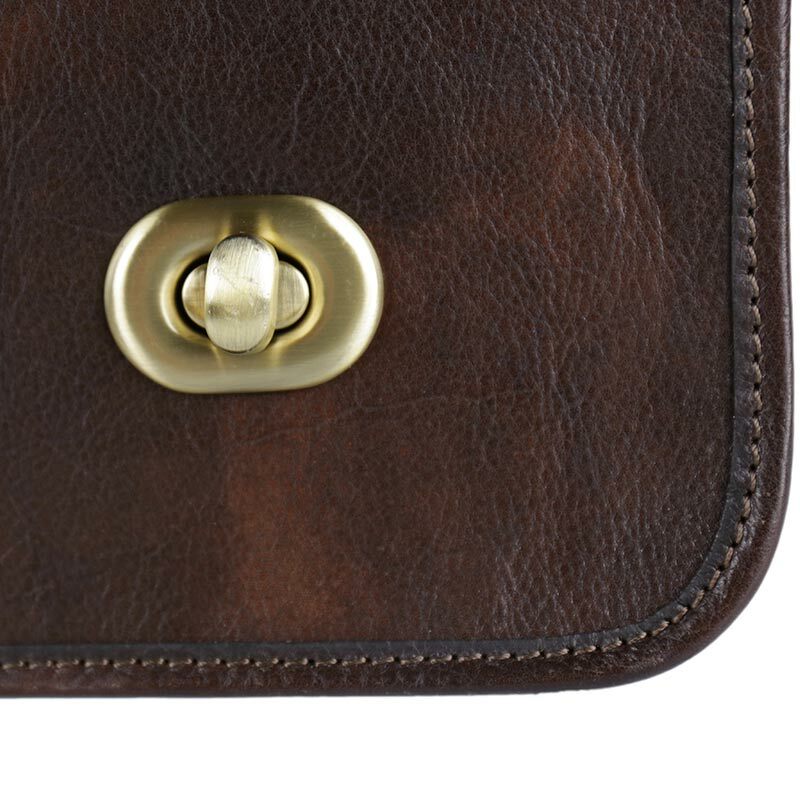 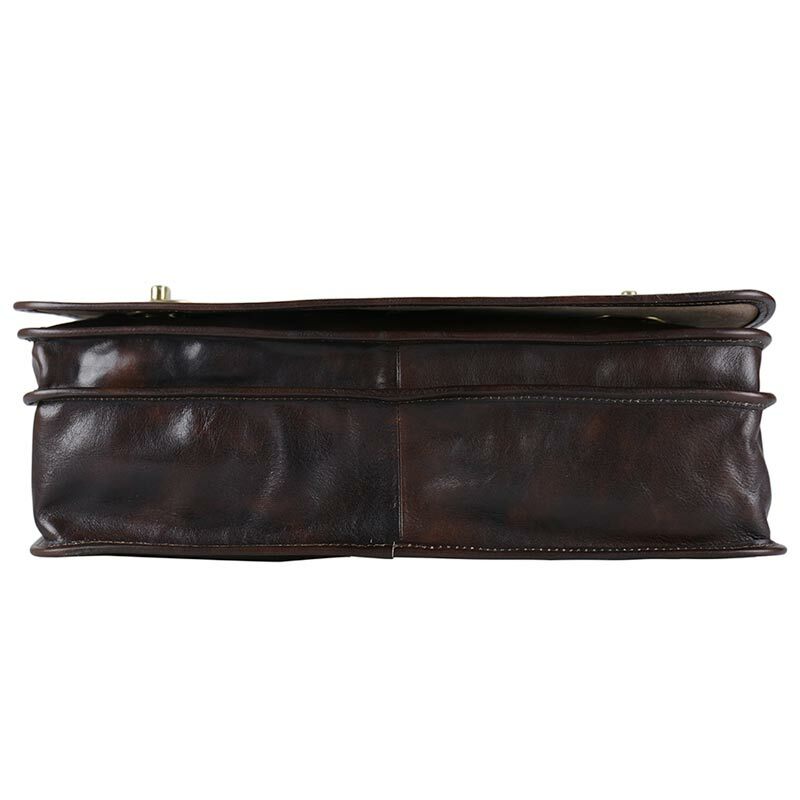 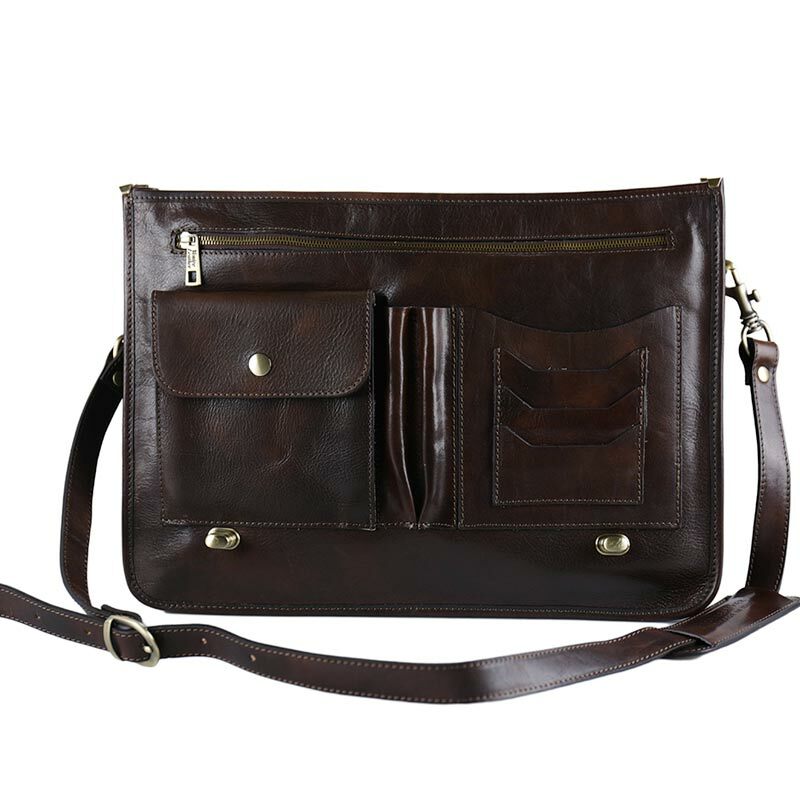 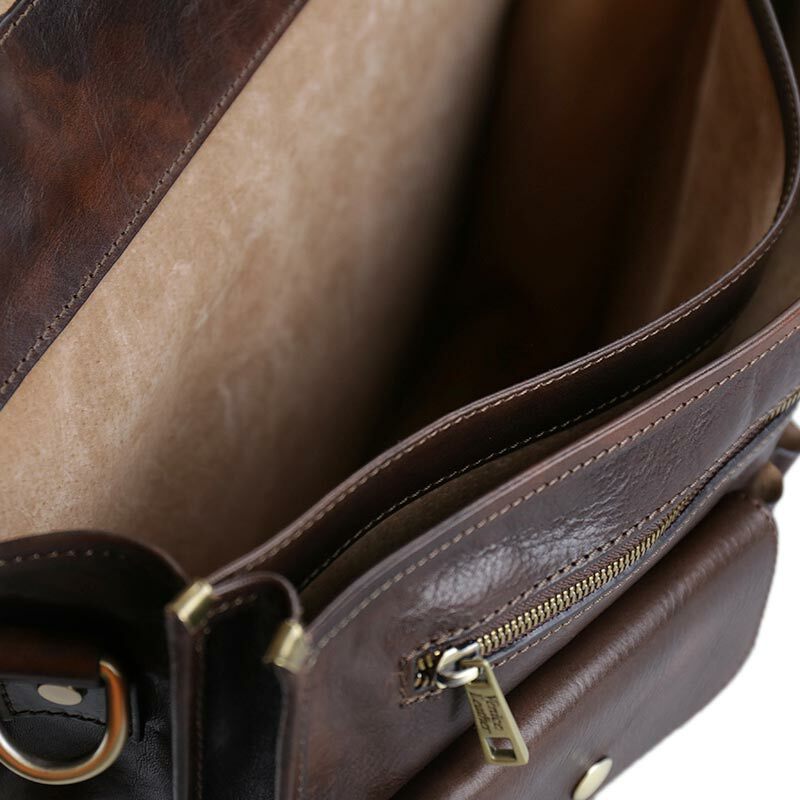 Reversible front flap with twist lock .Leather compartment with metal zip on the back. 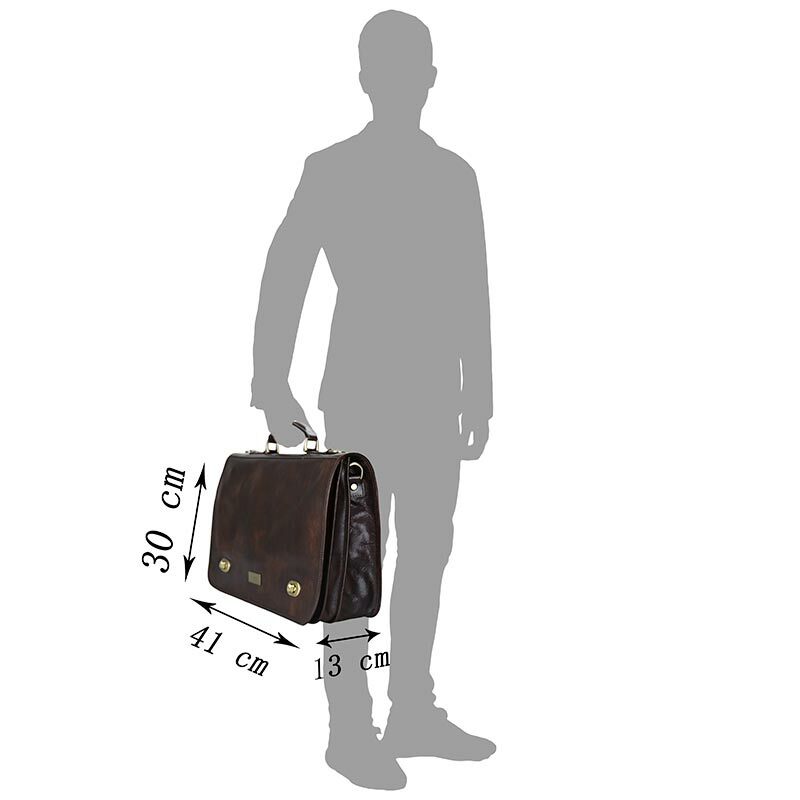 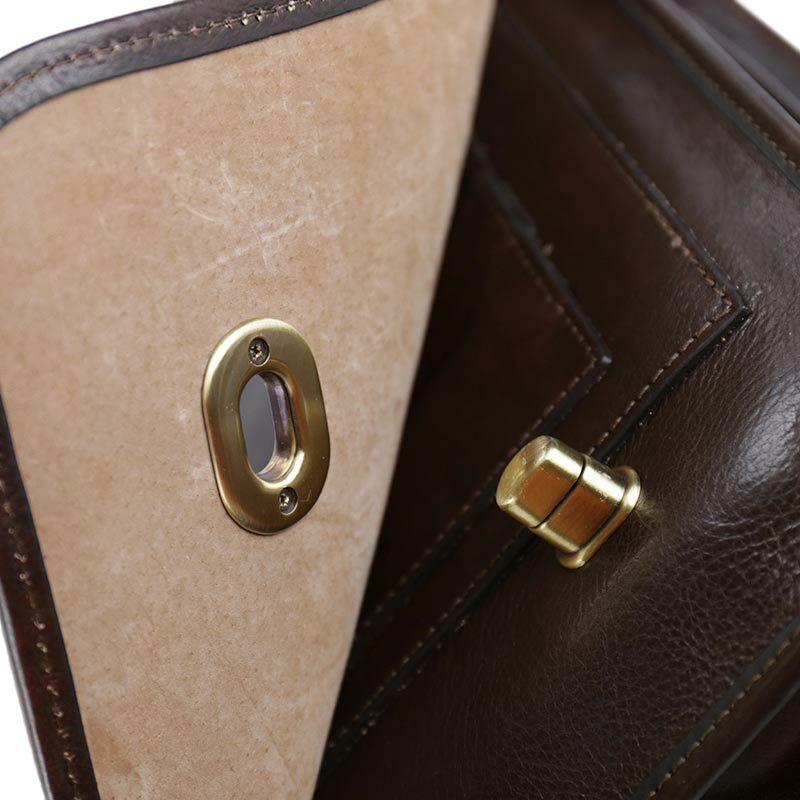 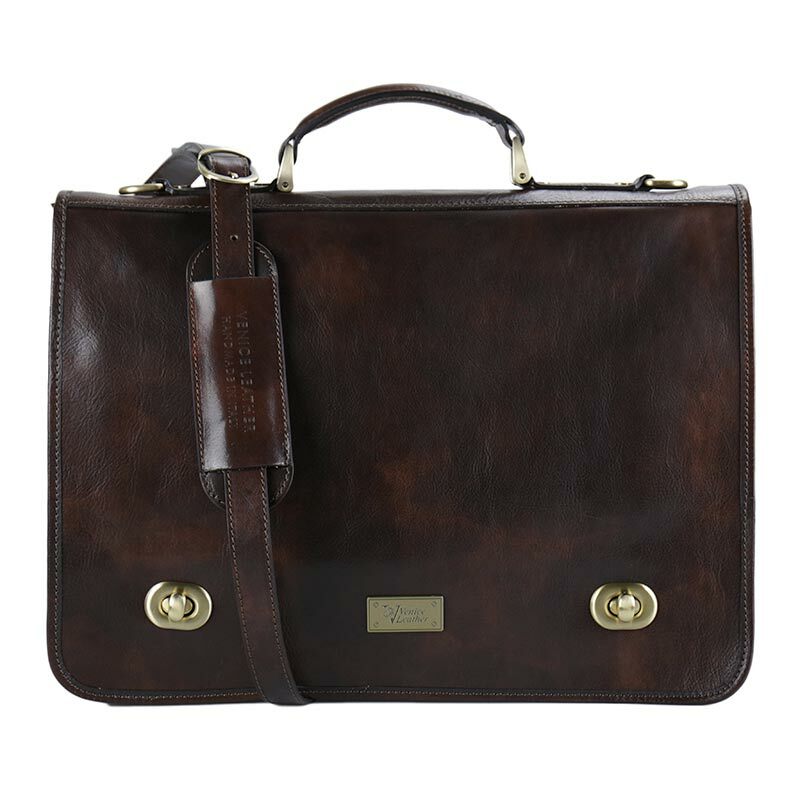 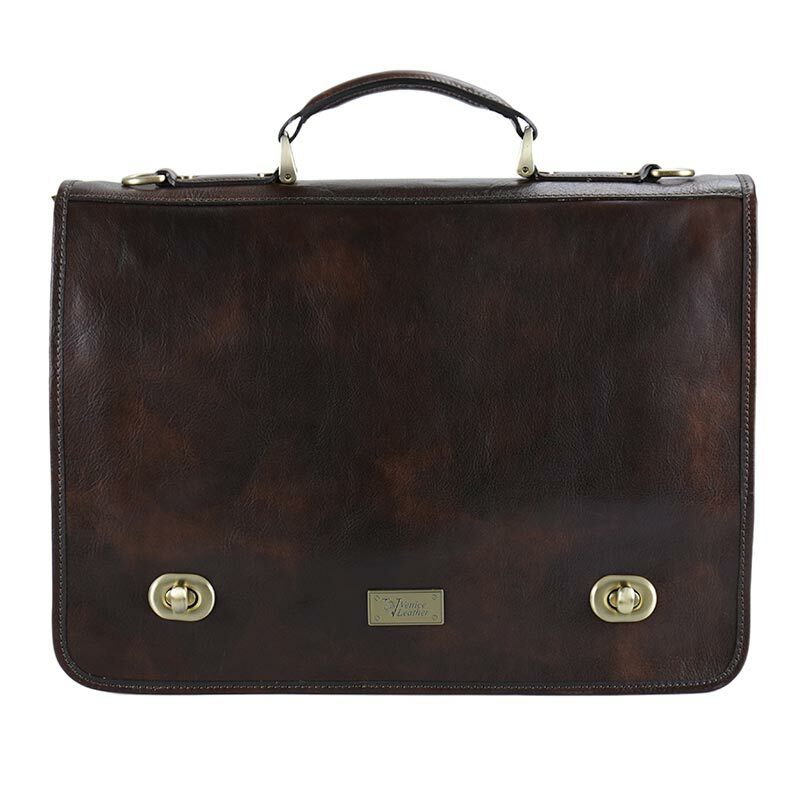 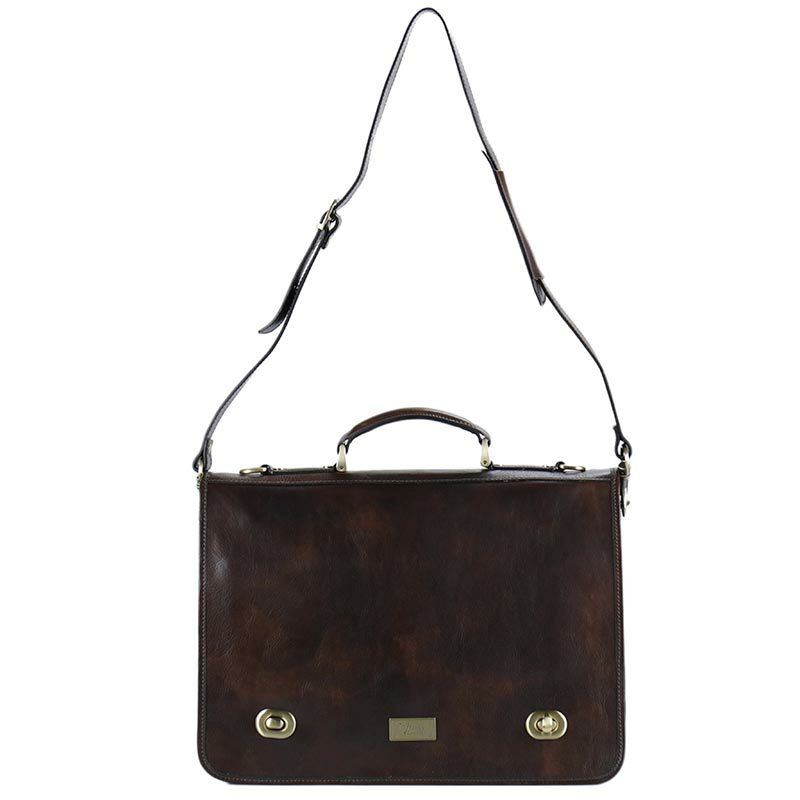 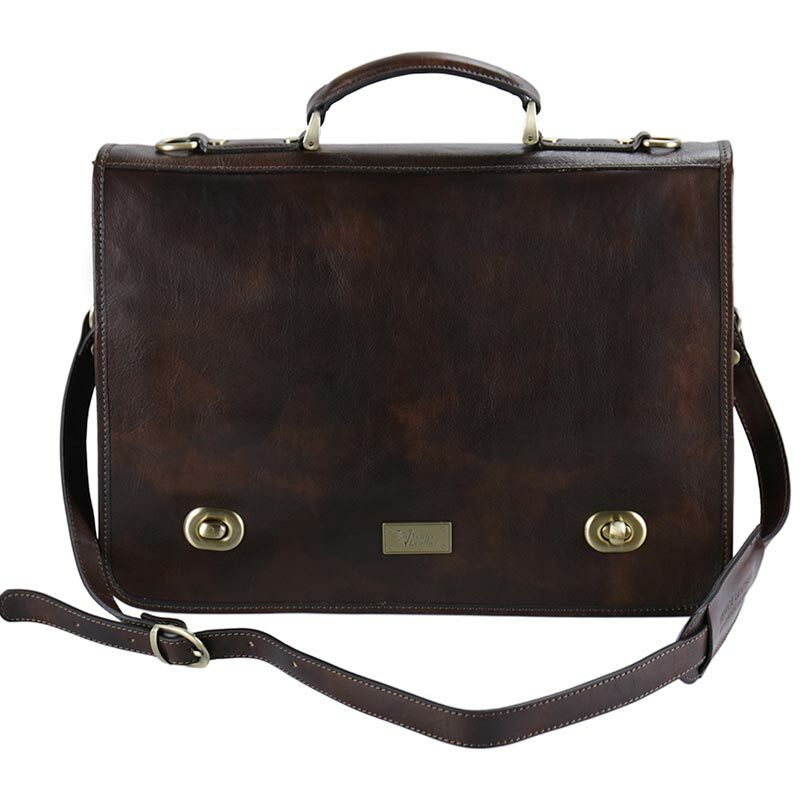 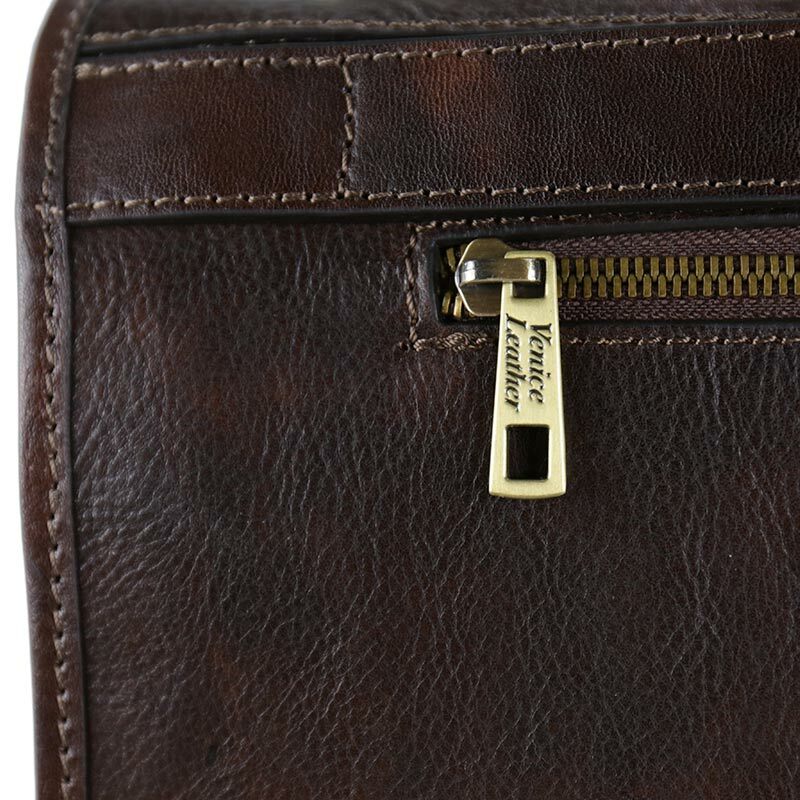 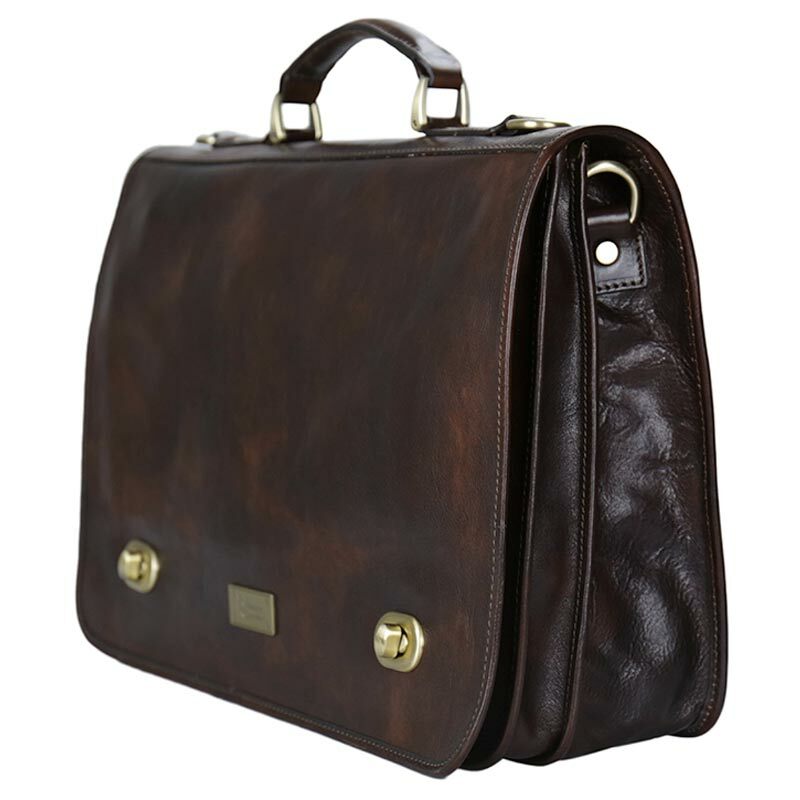 A practical and elegant professional briefcase.